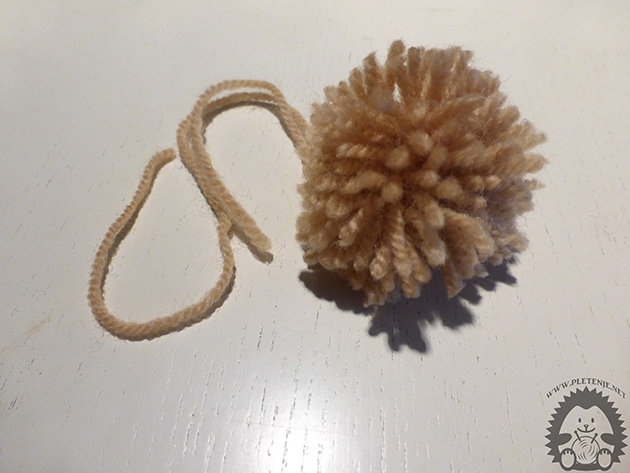 For making PomPomThere are various aids to make them easier and nicer. We'll show you here a simple design without any tools. PomPom is used as a decoration on garments mostly on top drip. I like the idea of ​​decorating wood with PomPom. You can use all the remnants of wool to make these decorative ornaments. The wool we wrap 30 to 60 times (depending on how rich we want it to be) about two, three fingers (depending on the size we want). 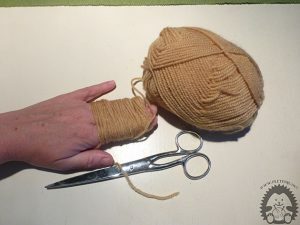 Let's do it, we wrap the beginning and the end of the thread in the middle and tighten it tightly. 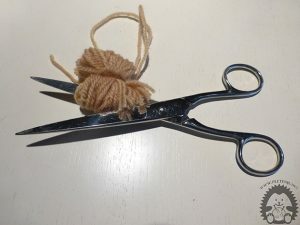 We do not cut either in the center on both sides and form PomPom.